This month’s edition of Wendy’s Favorite Things is featuring some of my favorite healthy dishes in honor of this month’s Lighten Up theme. These are some of my recent food finds that helped me tremendously with this month’s post-holiday reboot. These better-for-you options prove that healthy food can still taste great! Let’s get on with it, shall we? Here’s this month’s Great Eight! (1) Halos Mandarins. 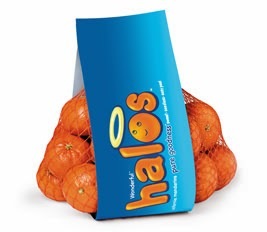 This is mandarin orange season, and I recently tried a new brand on the market: Halos. These tasty seedless California mandarins are easy to peel, juicy and tartly sweet! Even better, they're GMO free! This is pretty much an ideal snack or meal component: fat-free, low in calories, and high in Vitamin C. Halos make a great portable snack or lunchbox addition. I personally love to eat one Halo mid-morning and save the other two for an at-work afternoon snack at my desk. As an added bonus, the smell when you peel them is the perfect refreshing pick-me-up! Halos can be found in the Produce Department of major grocery retailers around the country. (2) Pressels. If you like to enjoy a crunchy, salty treat…have I got a find for you! Chips can be full of fat, so I’ve been enjoying new Pressels instead. These bite-sized baked pretzel flats curb those salty-crunchy cravings perfectly. 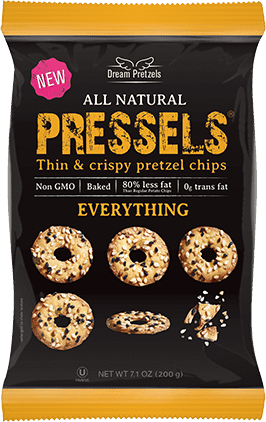 Pressels have 80% less fat than traditional chips...and they're GMO free. 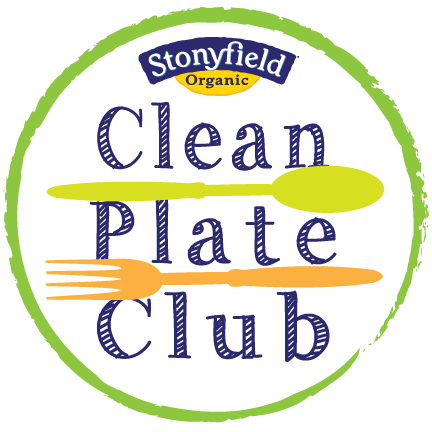 Each generous 22-piece serving contains only 2 grams of fat and 110 calories. Pressels come in three great flavors: Original, Everything, and Sesame. All three taste great, but I especially love the Everything. If you like the flavor of Everything bagels, then these are perfect for you. They’re topped with garlic, black caraway seeds, sesame seeds and onion. They're so flavorful that they can be enjoyed as is…but they’re also great for dipping too. My Texas-based readers can find Pressels at their nearest H-E-B location. (3) Eat Well Enjoy Life Hummus. 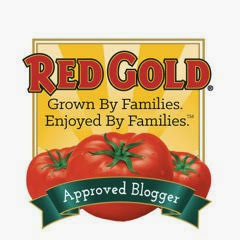 This month, I’ve enjoyed dipping my Pressels in Eat Well Enjoy Life's delicious line of hummus. It’s creamy and full of flavor, and it comes in varieties you don’t normally see. 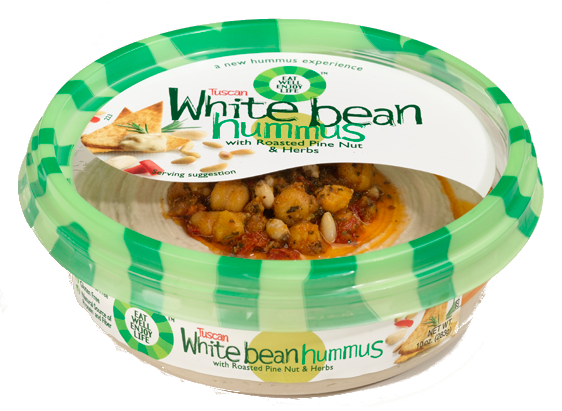 In addition to traditional chickpea hummus, Eat Well Enjoy Life features “other bean” hummus varieties, including: edamame, black bean, and yellow lentil. All of the varieties I tasted are delicious, but my favorite is the Tuscan Roasted Pine Nuts and Herbs. Each 2-tbs. serving contains 90 calories and 6 grams of fat. They also offer a Low Fat Line made with Greek yogurt that averages 50 calories and 2.5 grams of fat per serving. This hummus is great paired with Pressels or a few pita chips for a protein-packed snack or light lunch. I also like to spread them on lowfat flour tortillas to make veg-friendly sandwiches for our weekly meatless day. To locate a store near you that carries Eat Well Enjoy Life, visit their online Store Locator. 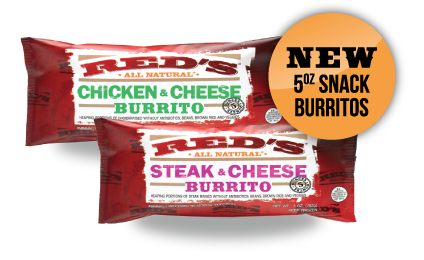 (4) Red’s All-Natural Burritos and Quesadillas. Imagine a burrito that's 100% natural, non-GMO and no preservatives. Sound too good to be true? It's not, as Red's proves with its line of tasty "clean" frozen burritos and quesadillas. I recently tried out their smaller snack-sized burritos for my work lunch. The size was the perfect portion for me. It was very flavorful and filling. The snack-size Chicken and Cheese Burrito has just 250 calories and 6 grams of fat. The chicken was tender and plentiful, and I stayed comfortably full during the afternoon. For those with a larger appetite, the standard 10-ounce Chicken Burrito has 430 calories and 9 grams of fat. Red's burritos and quesadillas are available at grocery stores across the country. To find a location near you, check our their online store locator. (5) greatO Omega-3 Beef. If you're like me and enjoy cooking with ground beef, but limit how often you use it for health reasons,I've got great news for you. greatO 80/20 blend Omega-3 ground beef offers the beefy taste you love, and it's also better for your heart health! This great-tasting ground beef is lower in saturated fat and are naturally higher in healthy Omega 3 fatty acids. For comparison, regular ground beef has 0 Omega 3 fatty acids per 4-ounce serving. 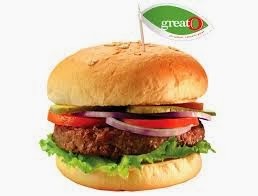 Grass-fed beef can have up to 70mg of Omega 3, while greatO contains a whopping 200mg of Omega 3. The same amount of salmon averages I've enjoyed trying this ground beef out in my kitchen, and we've been very impressed with its flavor and texture. The fact that it's healthier for our hearts and is an added bonus! Currently, greatO products are available at select H-E-B locations throughout Texas. 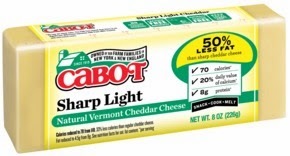 (6) Cabot Sharp Light Cheddar. I love cheese, but I hate that it can be so high in fat. I’ve tried many brands of lowfat cheese over the years, but most of them left me unimpressed – the flavor is bland and the texture is rubbery. I refuse to sacrifice flavor, so I was thrilled when I finally found a light cheese: Cabot Sharp Light Cheddar. It has half the fat of traditional cheddar, but eating it isn't a sacrifice at all. The flavor and texture are great, and it melts beautifully! I topped a casserole with it, but didn't tell Michael that it was reduced-fat. I wanted to see if he noticed a difference. He commented on the cheese...saying it had a great flavor. He couldn't believe it when I told him it was reduced fat. That's saying something. This cheese is now a staple in my kitchen for helping keep down the fat and calorie count of some of my favorite dishes. (7) Alexia Smart Classics Roasted Fries and Potatoes. Do you love french fries, but hate the excess calories and fat that comes with frying them? Me too! 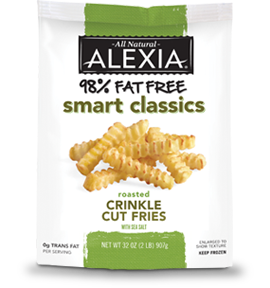 Then you've got to try Alexia's new line of 98% fat free Smart Classics potatoes. These yummy fries bake up crispy in the oven, and they're flavored with all-natural sea salt. Each generous serving contains only 100 calories as well. These fries are perfect for pairing with sandwiches or turkey burgers. The Smart Classics line features three varieties: crinkle cut fries, straight-cut fries and roasted tri-cut potatoes. 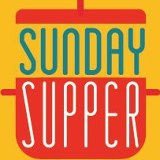 I'm partial to the crinkle cut fries for pairing with sandwiches, and the tri-cuts are great as hashbrowns for a weekend brunch or weeknight brinner. You can find these potatoes in the freezer aisle of your favorite grocery store. (8) Crispy Green Fruit Snacks. 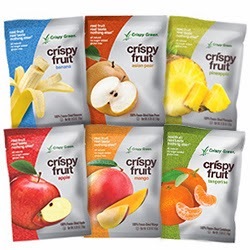 These all-natural crispy freeze-dried fruit snacks are a great portable snack option! Crispy Green comes in individual sized stay-fresh pouches, making portion control a snap. These freeze-dried fruits have a crunchy, light texture and an authentic fresh-fruit taste. Crispy Green comes in seven flavors: Apple, Banana, Mango, Asian Pear, Cantaloupe, Pineapples and Tangerine. I've tried and enjoyed all varieties, but my personal favorites are the mango and cantaloupe. They’re not hard like an apple chip or dehydrated like a raisin…they’re light and crispy. Each pouch averages less than 50 calories. They’re one of my favorite healthy snack finds of the past year. Crispy Green can be purchased online, as well as at select stores around the country. 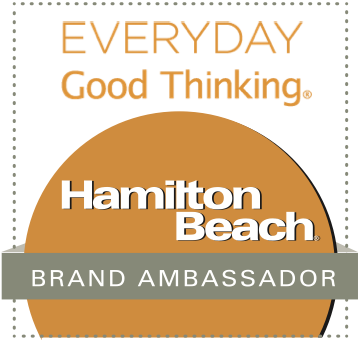 Disclosure: The brands featured in this article provided me with complimentary samples to try in my kitchen. I received no other compensation, and all opinions expressed are my own.